Trentham Gardens or Aston Marina. 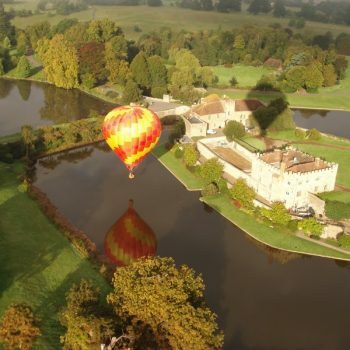 Shugborough Hall, from the balloon! Shugborough Hall, the NT home of Lord Lichfield, near Stafford. The Trentham Estate, home to the famous Italianate Gardens. 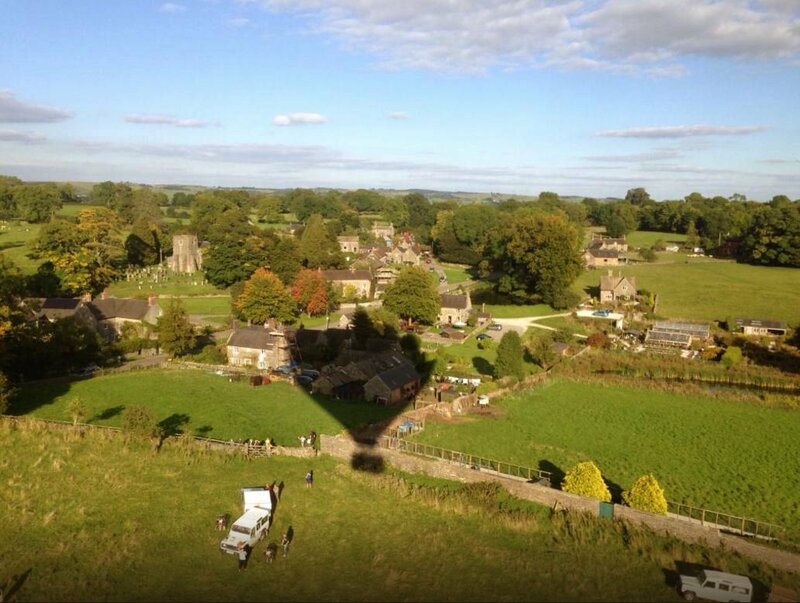 These venues are all quite different, and yet hugely appealing in their own right. 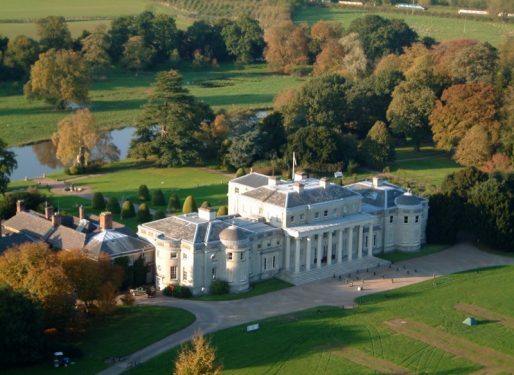 Shugborough Hall is a National Trust property, set in 1000 acres of parkland, whilst The Trentham Estate, once the home of the Duke of Sutherland, now hosts a range of fabulous restaurants, retail outlets, gardens and lake. 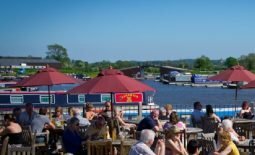 Aston Marina, is a fantastic venue set on the Trent & Mersey canal near Stone, and offering restaurant, bar, wedding venue and boat mooring. 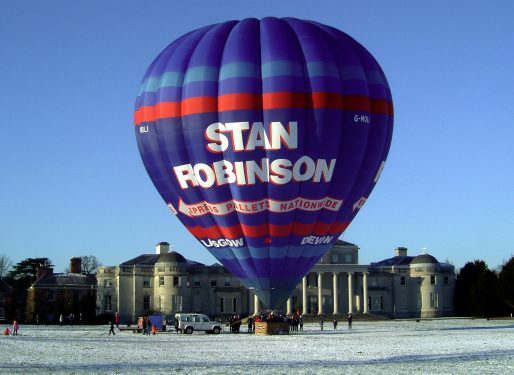 We first began flying from Shugborough Hall more than 25 years ago, and have now flown more than 50,000 passengers! The former home of Lord Lichfield (perhaps better known as Patrick Lichfield, the photographer), Shugborough Hall is now managed by The National Trust. 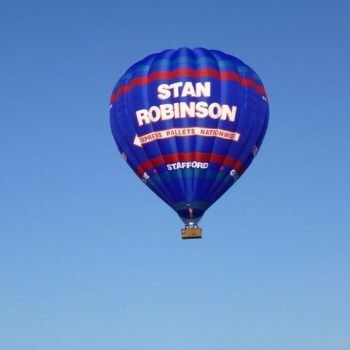 Over the years, it was a great honour for us to take Lord Lichfield himself on balloon flights from the Hall, and although he has since passed away we are proud to consider Shugborough as the home of Wickers World. 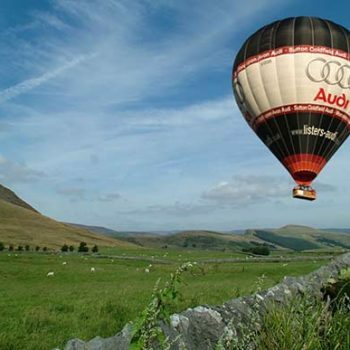 Set in beautiful Staffordshire countryside, it is hard to imagine a better setting for your hot air balloon ride. 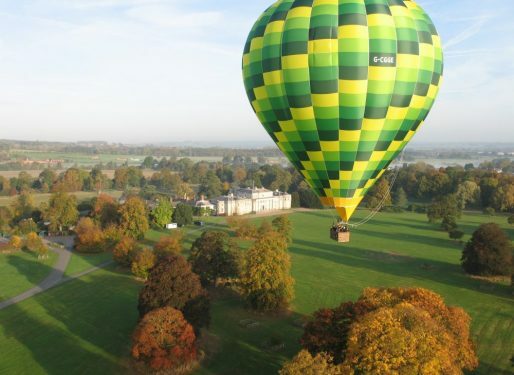 Please click the link below to learn more about a day out at Shugborough Hall. 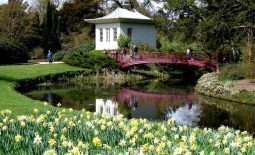 The Shugborough Estate is open all year round, but certain amenities may have seasonal opening hours. 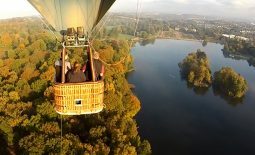 Further to the north we have our second launch site, at Trentham Gardens. 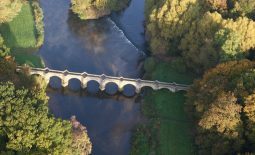 This is a magnificent setting, and part of the hugely successful Trentham Estate, which incorporates a high quality range of retail outlets and restaurants in addition to the beautifully restored Italian Gardens. On the edge of the Estate you will find the wonderful Monkey Forest – a unique treat for the whole family – where we also occasionally launch the balloons (without monkey help!). 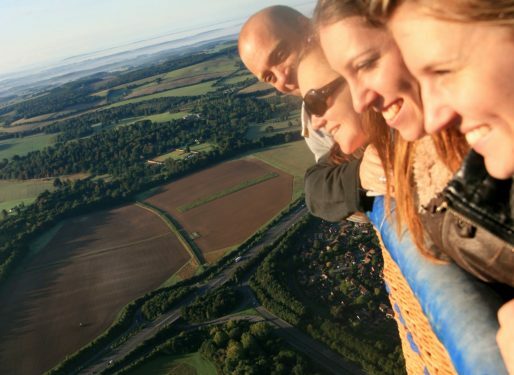 Trentham is located close to the Potteries, and is within 10 minutes of the M6 (jct 15). 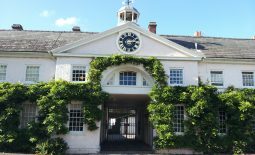 Similarly, Shugborough Hall is only about 10 minutes from junction 13 of the M6, close to Stafford. 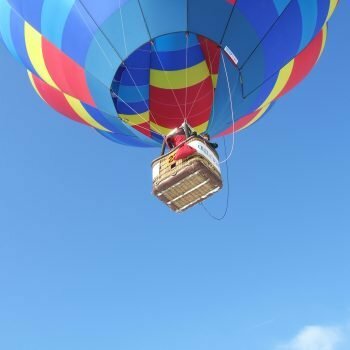 Both venues allow easy access to other attractions such as Alton Towers, Wedgwood and Drayton Manor Park to name but a few. 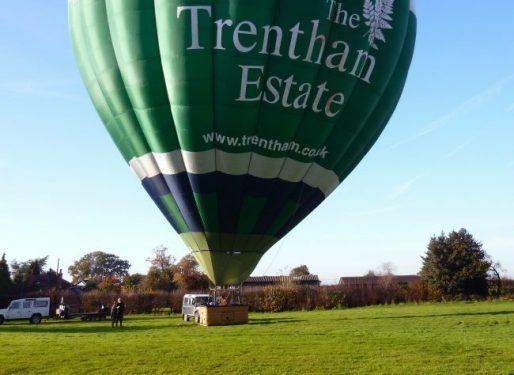 Click on the button below to learn more about facilities at The Trentham Estate. 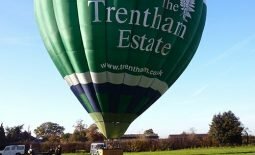 The Trentham Estate is one of the country’s top visitor destinations. 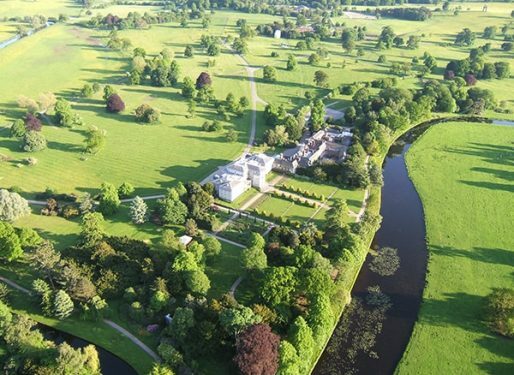 Comprising of 725 acres, it is the last remnants of one of England’s great garden estates. The estate attracts in the region of 3 million visitors a year, due to its wide appeal and diverse activities to engage every generation. It benefits from a fantastic central location, adjacent to the main A34 dual carriageway, just south of Stoke-on-Trent and 2.5 miles from the M6. 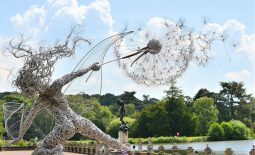 Whether you’re looking for a garden with peace and quiet, or fun and action you will find a great day out at Trentham. The new-look gardens have matured into some of the finest in Britain, to be named by Alan Titchmarsh as “one of the UK’s must-see gardens”. Trentham is an award winning garden which in 2013 won the Enjoy Staffordshire Tourism Gold Award, in 2015 was awarded a Gold Accolade by Visit England and in September 2010, the Gardens won one of the most prestigious European gardening awards, for the “Restoration, Enhancement or Development of a Historic Park or Garden”. What matters most of all is what visitors think, and they voted Trentham BBC Countryfile’s Garden of the Year 2015. 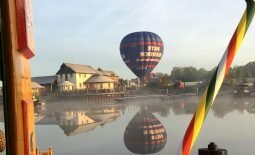 We’ve been launching balloons from Aston Marina throughout 2018 as a back-up site, and have now been invited to make scheduled flights from this fantastic venue from 2019! 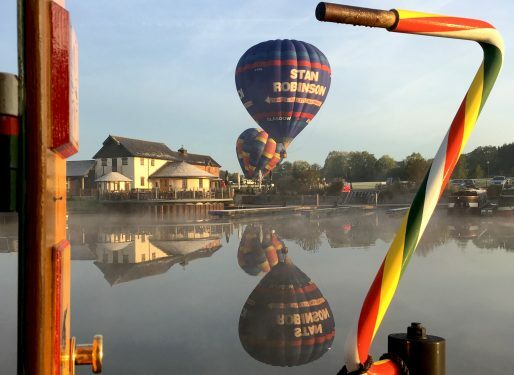 Located mid way between our other Staffordshire launch sites at Shugborough Hall and Trentham Gardens, Aston Marina makes a natural and welcome addition to our location options. 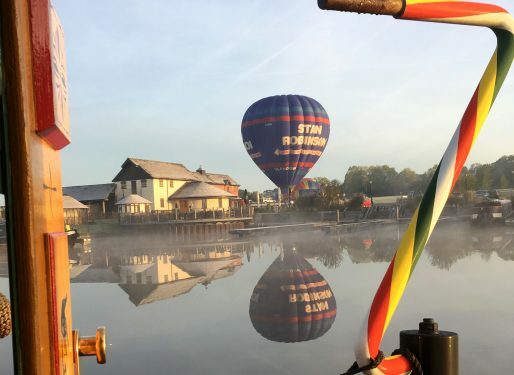 Simple to find, and offering a wealth of other amenities such as restaurant, bar, function facilities and mooring for canal boats, Aston Marina is a fabulous destination in its own right. Please click the button below to learn more. 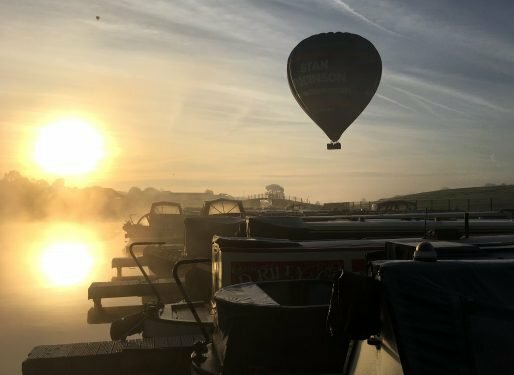 Aston Marina is a family run business, bringing an idyllic waterside destination to Staffordshire, with a focus on quality and service. 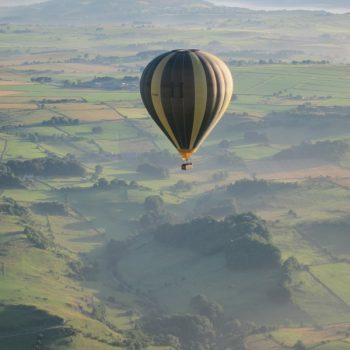 They have a passion for locally-sourced food and produce, delivered through the award winning No.26 Restaurant and Bistro by their friendly and professional team. The wide ranging menu also caters for special dietary requirements. 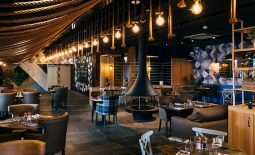 The No.26 Restaurant and Bistro is open daily from 9am for breakfast, lunch, afternoon tea and dinner. The bar is also open from 9am until late! 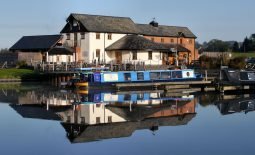 The Boat House is a wonderful wedding or function venue, with panoramic views over the canal and Staffordshire countryside. Please note that on early morning flights, there are no lavatory facilities until 9am.